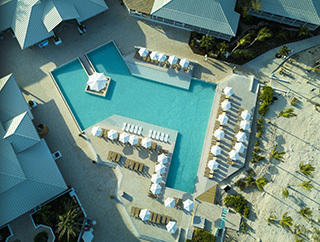 Club Med’s Turkoise resort on Grace Bay Beach in the Turks & Caicos will reopen on 01MAY following extensive renovations to the entire property. The resort now features 80 all-new, deluxe level rooms with added balconies, a new infinity pool that will offer the added convenience of poolside service starting this summer, a new main bar and an updated main restaurant that will also feature a new wine cellar. Other enhancements include a renovated fitness centre and new wellness area, a refreshed entertainment space and a technology update that will provide guests with digital bracelets for easy access to rooms and one-touch booking capability for spa reservations and excursions.